CRUZ BAY – The island of St. John will soon be able to generate its own electricity, Governor Kenneth Mapp assured residents on Tuesday. Power generation units are now en route to St. John and a supplemental solar field system has already been approved. 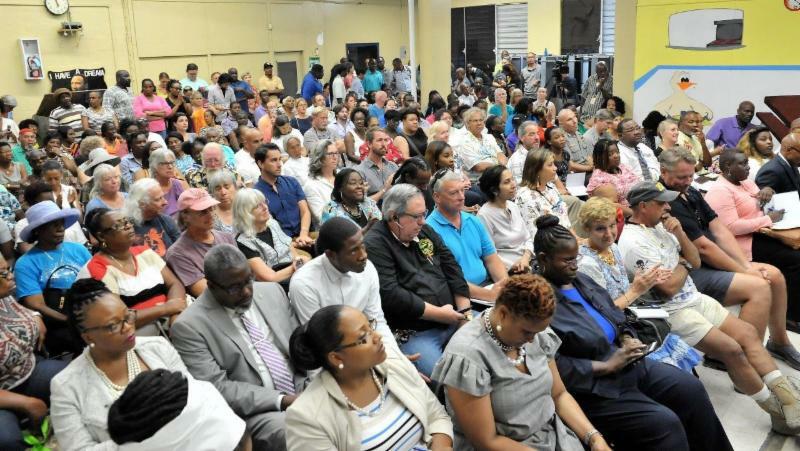 Speaking at a town hall organized by the Governor’s Office to hear from the community in regard to recovery from Hurricanes Irma and Maria, Mapp said plans are well underway to replace the severely damaged Julius E. Sprauve School and the Myrah Keating Smith Clinic and to make St. John more self-sufficient in the event of future emergencies. At least 200 people came out to hear the governor speak to a standing-room-only crowd at the town hall meeting. “We take pride that St. John is ahead of the curve in terms of its recovery,” he said. Residents asked questions and expressed their concerns, many related to plans to erect temporary classrooms and to identify land for a new school. While the ballfield adjacent to the Sprauve campus likely affords the most suitable location for the modular classrooms set to begin arriving next month, the governor said the Department of Education remained open to other possibilities if the appropriate infrastructure was in place to host students. Modular classrooms are expected to be in use for at least three years while a new school is designed and constructed. Several properties are now being evaluated as possible locations for the new school. Mapp said the new campus would double as St. John’s primary hurricane shelter and be properly outfitted to accommodate the needs of the community. Drinking water and other emergency supplies will be stored on the island so that they are immediately accessible. Road redesign and repair will also be a major part of the overhaul of St. John’s infrastructure, the governor added. Plans include reopening Lameshur Road on the south shore in order to provide an alternate route to the East End. Mapp has told U.S. Department of Interior officials that reopening the road, which traverses National Park land, is a matter of public safety. 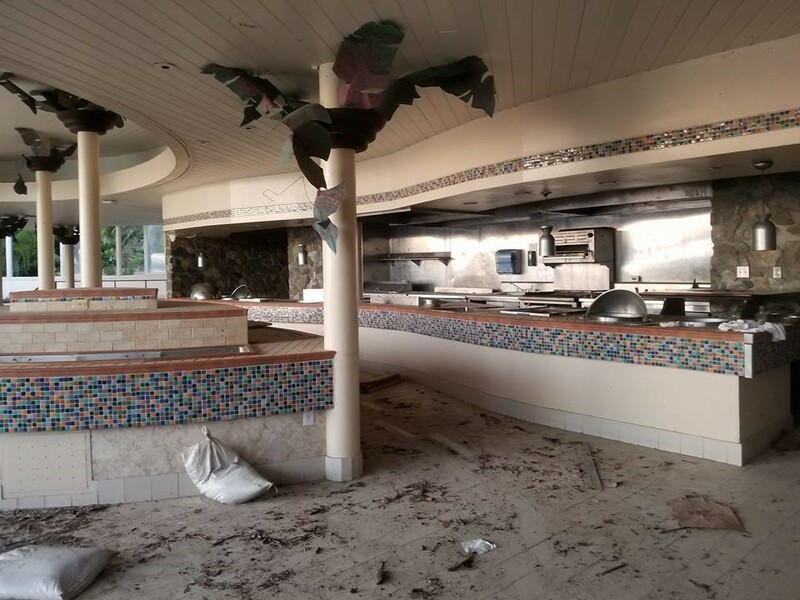 The St. John community’s input remains essential as plans are laid for building a smarter and stronger Virgin Islands and effectively allocating billions in recovery funds, the Chief Executive said.